One of the primary reasons people head out on vacation is to leave the stress and demands of everyday life behind, and while there are scores of ways to effectively relax — lay by the beach, shut off your cell phone, and take a yoga class, to name a few — one of the most popular and straightforward ways to get stress and tension to dissipate is to spend a day or afternoon at an excellent spa. If you’re planning a trip to Niagara to get some much-needed R and R, make sure you check out these five fabulous Niagara spas. Located at the Sheraton on the Falls in Niagara Falls, this world-class spa offers tremendous packages for total relaxation that can be experienced in full view of an amazing view of the Canadian and American Falls. Whether you partake of a massage, a pedicure, or a total body treatment, this spa’s unique location and view of the Falls provides for a spa day truly unlike any other. Located in Jordan, this spa sits jus across the street from the much-loved and regaled On the Twenty Restaurant, which means you won’t have to travel far after your day of pampering to enjoy a world-class meal. Surrounded by a garden with a gazebo and a well, the spa specializes in vino-therapeutic treatments thanks to their relationship with Cave Spring Cellars Winery. 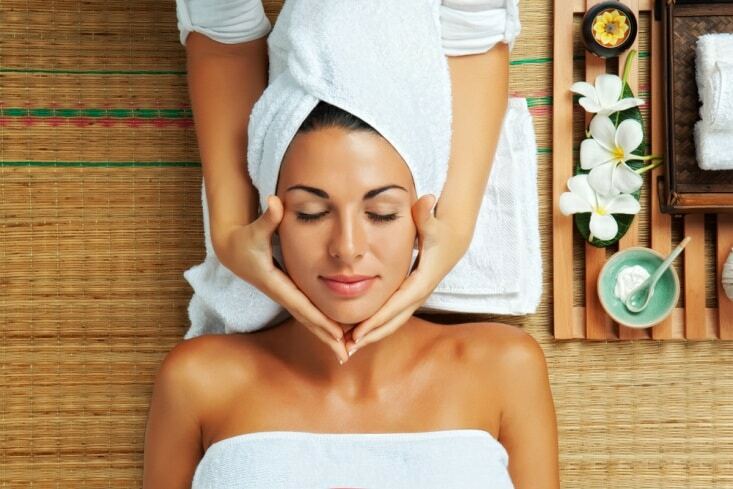 From body wraps and facials to massages and reiki, you can easily spend the day here in total bliss. Located in Niagara-on-the-Lake, the Secret Garden Spa is one of the finest spas in all of Canada. Contemporary and sleek, the spa has been designed for true relaxation from the chocolate and earth tone color scheme woven throughout the space to the Relationship Packages offered to couples looking to rejuvenate together. Secret Garden makes use of all natural products, including green, white, and red teas for some of the finest beauty treatments available. One of the highest-ranked spas in all of North America, this Niagara Falls spa offers services and packages that include body treatments, manicures, pedicures, facials, and much more. Most of their services are undertaken with rich, restorative Moroccan oil, which leaves skin supple, soft, and youthful-looking and feeling. Be sure to partake in one of their signature treatments: The Waterfall Bliss is a 90-minute, one-of-a-kind facial that involves double exfoliation and multiple masks that will leave your skin fresh and revitalized. Ranked as the highest ranked spa in all of Canada in 2013, Niagara-on-the-Lake’s 100 Fountain Spa places guests in the ultimate lap of luxury with a hot spring, salt water pool and high-end services and treatments. At over 13,000 square feet, this spa ensures you and your loved one or friends can enjoy a day of ultimate pampering without ever feeling rushed or cramped. Scrubs, wraps, facials, massage — whatever it is you’d like to indulge in can be had at this luxury spa. Recover your equilibrium at any one of the five fine spas the next time you make your way to Niagara.